Canada’s Great Divide Trail (GDT) winds its way along the spine of the Canadian Rockies from Waterton Lakes and then north of Jasper, Alberta. The Great Divide itself separates the water that flows into the Pacific and the Arctic Oceans, and Hudson’s Bay. The trail encompasses alpine views, high mountain passes, goes by glaciers, abounds with wildflowers, and there is a good chance you will see both wolves and grizzlies at some point during your trek. Not always marked, this isolated trail is a suitable journey for the experienced backpackers who enjoy a challenge, thrives on a sense of the wild, wants to see the world-class scenery, and is not expecting a connect-the-dots trail experience. The trail is 1200 km (750 miles) +/-; depending on which option is chosen for the northern terminus. See a larger version of the map by clicking here. The southern terminus is at Waterton-Glacier International Peace Park on the US/Canadian border on Waterton Lake. The same point also serves as a terminus for the Continental Divide Trail and the Pacific Northwest Trail. The northern terminus is generally considered one of three possibilities: Jasper (~850km / 530mi), Mt. Robson Provincial Park (~1000 km / 620mi), or Kakwa Provincial Park (~1200km / 750mi). Currently not an “official trail” concerning signage or land management agency recognition. The GDT is a mixture of defined trail, abandoned trail, cross-country travel, dirt and paved road walking. Many alt routes that are typically non-technical ridgeline walks but may involve Class 3 or 4 scrambling in some cases. The prime GDT season is July to September. Snowpack levels and early winter alter a start or end date. A typical thru-hike takes 30 days on the fast side to about 60 days on a more relaxed pace. Depending on the northern terminus chosen, alt routes taken, and time in town of course. Overall, the GDT is about the same level as the CDT around the early-2000s in my opinion: A resurrected trail getting more maintenance, a reinvigorated trail organization doing fantastic work, and increased recognition among the public, private, and government agencies. The Great Divide Trail Association (GDTA) is the volunteer trail organization that maintains, promotes, and plans out the Great Divide Trail. The GDTA has done amazing work in recent years working with the Canadian National Parks and other land management agencies, clearing out and reviving abandoned trail, placing new markers, and making the GDT a crown jewel of a Candian wilderness experience. If you plan on thru-hiking or section hiking the GDT at some point, consider joining the GDT. And if you have the time and resources, the volunteer projects can always use some help, too! The GDT is not a beginners route. Though previous long trail hiking experience is not needed (but very helpful), having previous backpacking experience is mandatory. Flexibility, a sense of humor, and a love of the wild places are strongly encouraged! Moose Pass on July 22nd. Depending on snowpack level and early winter, the season is generally July through September. Expect harder stream fords and more snow if starting in early July (esp. up north) along with many mosquitoes. September can be a beautiful time with blazing color. But an early winter, or even a snow day or two, can occur. In my opinion, most of the navigation challenges are at the macro level and not at the micro level. In other words, navigation is generally not difficult. Any bushwhacking is (overall) short, and the cross-country hiking is navigationally not tricky for anyone comfortable with a map, compass, and GPS-enabled device use. The current “go to” guidebook is Hiking Canada’s Great Divide Trail by Dustin Lynx. The third edition is just off the presses as of July 2018. Dustin discusses alternate routes, resupply options, access for section hiking, and challenges faced in a specific section. Dustin is considered one of the gurus of the GDT and often credited with helping to revive interest in this nearly forgotten trail. The book itself is excellent for both initial planning or (if broken into sections) for field use. A useful adjunct to the guidebook is the GDT Hiker Notes. Notes submitted by current year hikers in September, curated by the GDTA, and made available in time for the upcoming backpacking season the following year. 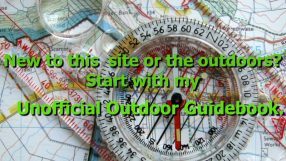 As with many long trails or routes, there are different map resources available for navigating the GDT. The free, eighty-seven page, Ryan Silk GDT Map Atlas 1:50k maps provides detailed navigation on the GDT itself. Some alt routes and bail out trails listed. As with many trail specific map atlases, the corridor shown in narrow. I suggest other sources for a broader overview. The Gem Trek maps provide a broader overview of the GDT marked in select area. Check the GDTA map resource page for the specific maps and which section these maps correspond with for the GDT. The NatGeo – Trails Illustrated maps provide a large 1:100000 scale overview for the Canadian National Parks. As with the Gem Trek series, the GDTA map resource page lists the specific maps and which section these maps correspond with for the GDT. The NatGeo Canada West Adventure Map provides an extensive overview useful for any fire closures or trail reroutes and planning needed. The Atlas Guides (Guthook) GDT app is a tool that works with Android or iOS devices. The app works with the device enabled GPS to display where a user in on the map and helps with navigation. In addition to GPS and map applications, water and campsite info along with guidebook like notes are available on this app. Popular alternate routes are also listed on this app. Your standard three-season hiking gear works well for the GDT. Long pants instead of shorts. Quite a few of the areas still involve going over and under blowdowns, going through brush and willow, and some scrambling on alternate routes if chosen. Long pants provide more protection. Other GDT hikers who took shorts report wishing they took long pants. Take real rain pants instead of just wind pants. When it rains on the GDT, the brush and willows become cold, wet, and do not dry quickly. Though I did OK with wind pants, a slight weight penalty for real rain pants would have been useful! No surprise that mobile coverage is going to be very spotty while out in the Canadian Rockies and some of the smaller pit stops along the way. This cellular coverage map could be useful depending on your carrier. Additionally, if you are traveling from outside of Canada, your phone may not work on the Canadian networks. And if your phone does work on the Canadian network, your plan may charge expensive roaming fees. Ouch! Luckily, my Verizon plan allows free calling, data, and SMS use with no additional charges up to 500 MB of data a day. Your carrier may be different. Many places, such as park visitor centers, do offer wifi, however. If you are concerned about emergencies, a PLB is going to be much more reliable than a mobile device. If you wish to share the journey with others, a Garmin InReach Communicator or a SPOT works for both limited communication and emergencies. They work on a commercial satellite network vs. the PLB, however. See other sites for the pros and cons of the various devices and their limitations. Gonna be a long bus ride. If you are section hiking or thru-hiking the GDT, the GDTA Access Page is excellent for getting to and from the various trailheads and termini of the GDT. With Greyhound ending access in Western Canada, check the Access page on a regular basis in the coming months to see any additional private or public transit options for accessing the various points along the GDT. The GDT has three generally accepted northern termini. Though other options are available and mapped to various degrees, the three options below are the most well-known. All three options have pros and cons depending upon trip goals and conditions. Jasper National Park (~850km / 530 mi ) – The original northern terminus WAY back when. Super easy logistics to start or end the trail. Shorter, perhaps more manageable, journey. However, ending or starting in a busy parking lot may not be the most dramatic place. Arguably some of the best terrain and scenery of the GDT is missed, too. Mt. Robson Provincial Park (~1000 km / 620 mi ),– A popular northern terminus. A happy medium between the two options for many. The Berg Lake Trail features an iconic view of Mt. Robson; the highest point in the Canadian Rockies. Good trail to reach the visitor center. Relatively easy hitch back to and from Jasper. No longer has any bus service as of Oct 2018, however. Suunto A-10 compass with lanyard. From Suunto. Northbound is a generally easy start physically and trail wise versus going south. Logistics are simple from Calgary or Glacier NP, too. Most GDT hikers make their way north. Southbound puts you in the hardest terrain from the start. Few people go south. I went south for logistic reasons. And the romantic in me wanted to end the GDT where I started the CDT back in 2006. Much of where the GDT passes through, esp north of Banff, is Parks Canada land. As with their US counterparts, the Parks Canada lands require a general parks pass and backcountry site reservations. Many Provincial Parks also require backcountry campsite reservations. With the pass, reservation, and campsite fees, the total costs for an individual are approx $200 CDN on a typical thru-hike. A Parks Canada Discovery Pass permit is easily procured online and covers admission to the Canadian National Parks. You can also pick up a pass at the MEC in Calgary. (MEC is essentially the Canadian version of REI) . Backcountry permits are another story, however. The sites book up fast during the short and favorite prime backpacking season in the Canadian Rockies and can be logistically daunting to book the appropriate site in addition to being a significant expense of hiking the trail. The GDTA Permits page and the Campgrounds page will assist in navigating the nuts and bolts of permit and campground reservations. If you are like many long-distance hikers, you probably will not know your exact dates. Rather than simply skip the reservations altogether, many GDT hikers will honor the spirit rather than the letter of the permit system. Every night has a permit for camping even if the hiker is at a different campsite. YMMV on what works for you. I just hiked through the Berg Lake trail( Mt. Robson Provincial Park) and over Robson Pass. Otherwise, those Berg Lake Trail campsites would be the major exceptions for Provincial Parks. Most GDT hikers tend to hike the section from before Robson Pass to the visitor center in one day. The Skyline Trail is very busy, and the campsites are booked right away. Easy to see why. A world-famous trail in good condition. 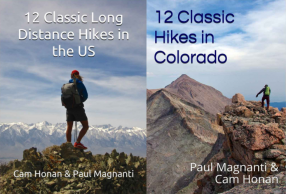 An experienced hiker with a light back could hike the Skyline Trail (44 k / 27 mi) in a long day esp. with all the daylight found during the Canadian Summer. The Rockwall Trail is the other place where finding a camping spot is apparently difficult. However, a fire closure blocked that access for me. I can’t comment too much on those particular logistics. Allegedly dispersed camping is available on the BC side around Wolverine Pass (about half-way through) per the app guidebook text. But, again, I don’t know from personal experience and can’t comment. A 200 km marker Tara and Dan Durston made in 2017. Heart added later. I think most people experience about 20% drop in distance covered off their typical average on a more established trail and take longer do this reduced distance. At least that is my unscientific gut feeling based on talking to other GDTers and seeing what people post after the trip. More than anything, the GDT is physically challenging. Steep climbs on trails not maintained in a while, or trails that are theoretically there but are overgrown, and, when existing, the tread tends to be rough. (The GDT is getting better tread with each year though. Thanks, GDTA!) Expect long days to do a lower distance. On a related note, the ever helpful Dan Durston put together a GDT Trip Planner for a what he calls a Relaxed (67 day), Average (50 days), and Fast (41 days) paces. Campsites, resupply, and other pertinent info are readily available in a handy spreadsheet form. The distances are based on a Kakwa northern terminus. Adjust as appropriate for a Jasper or Robson northern terminus and your specific pace. Finally, I felt the northern half (north of Banff) had the more difficult terrain overall. South of Banff, I found the terrain to be easier. Food carries are about 4-9 days depending on your pace. The GDTA has an excellent Resupply and town information page that has most of the info a GDT hiker might need concerning resupply and lodging options, fuel availability, and mailing addresses. From Field, it is an easy and quick twenty-minute hitch to Lake Louise Village with outdoor stores, restaurants/cafes, and a surprisingly decent grocery store. If you are going to, or need to, spend time in town, the town of Golden is about 45 minutes away by hitching and is a full-service town with an outdoor store, a grocery store, and the Kicking Horse Hostel that is reported to be both inexpensive and hiker friendly. Boulton Creek Trading Post for the non-picky (!) hiker offers jerky, Ramen-like noodles, Mac n’ Cheese, Poptarts, cookies, instant oatmeal, and other circa-1990s AT thru-hiker delights. 🙂 Pizza and ice cream available! Nearby campgrounds offer showers if you need to break up this otherwise long section between here and Banff, too. However, if you do want to bring a stove, I found that white gas (more popular with Canadian hikers who tend to have traditional pack sizes and associated gear) is available wherever there are outdoor stores and ditto for isobutane canisters. Fuel for alcohol stoves in Canada is not quite as handy in the US but is not overly tricky, either. Whichever fuel you use, plan accordingly when in a larger or well-stocked area and don’t rely on finding fuel in every grocery store, convenience store, or gas station as you might do in the US. A Canadian “Loonie” Dollar. From Wikipedia. Costs are going to vary greatly depending on the type of GDT hike done. Lodging is expensive, and food in certain areas (The Crossing!) is very much on the high side. Rather than give a ballpark figure, here are some costs, in Canadian dollars, based on different options not counting starting gear or travel to and from the trail. The exchange rate of the US Dollar, Euro, Pound, or other currencies will affect your overall expenses. The summary of the info below is that if you go light on lodging, you can cut down your expenses quite a bit. A quicker hike is less expensive, too. Passes, permits, and reservation fees are about $200. Food costs in these tourists area are about in line with Banff as an overall baseline. This link is handy for both grocery stores and restaurants. You could mail food from home, but you still have to pay postage fees and any possible customs delays. And, unless in Canada, those fees can add up. Or you can buy a bunch of food once in Canada and then mail ahead, too, for a much more reasonable price. I know of some people who fly with all their food into Canada and then mail ahead as well. 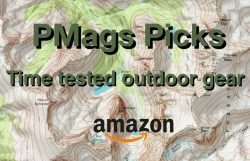 Replacement gear (shoes, insoles, and socks for me) is about in line at the outdoor stores with what you would pay at a MEC or equivalent. Stove fuel is about the same cost, too, from what I’ve seen (be it white gas, methyl spirits, or isobutane). Coleman is perhaps the best bargain on the trail. The Safe Haven B&B was only $65 a night with AYCE food! Other lodgings in town reported for a reasonable, rate, too. Banff is very expensive for lodging. About $80 for a dorm bunk. Up to $500+ for a room. Some people have received better deals via Booking.com or similar, assuming lodging is available. Campsites can become full at the peak of Summer but are otherwise about $30. If you camp just outside of town, hike in, and then hike out, your expenses are much less. Showers are available at rec centers in town, and a CoinOp laundry is available in the mall food court area in downtown Banff. Jasper is similar to Banff if not quite as expensive. Lodging about $200-$300. Jasper hostels ~$50. If a room is available. Another town where it may be better to camp just outside of town, do town chores, and then hike out. If you are lucky, a low-cost campsite might be available in town. But, again like Banff, those sites fill up. CoinOp laundries available and the Jasper Rec Center offers showers. Other low-cost front country campsites are scattered up and down the trail. Near Boulton Creek, for example, there are campsites with showers available. There are a few well-known alternate routes that quite a few GDT hikers will explore. The Hiking Canada’s Great Divide Trail by Dustin Lynx guidebook, the Atlas Guide GDT App, and the Ryan Silk GDT Map Atlas lists alternate routes. The GDT Hikers Facebook page (see below for more info) also discusses many of the alternates listed in the three resources above and additional routes put forth by other GDT hikers. In general, the alt routes are ridgeline walks above the GDT proper and feature expansive views. Expect Class 3 or even Class 4 hiking in some cases. The app and the guidebook will give a suitable warning. Your micro-navigation skills and comfort with off-trail travel should be dialed in for some of these alt routes. From photos I’ve seen, these alt routes look stupendous if the conditions are right. Fire, smoke, floods, and closures appear to be the new normal with yearly closures all over the North American West. Unless we are lucky enough to get an occasional wet year. At least IMO. Be prepared and have maps and other resources available to plan out alternative routes. The Trail and Closure section of the GDTA website ends up being extremely useful, alas. The GDTA typically lists alt route options if avail on this page and will additionally post a GDT Route for the upcoming year update page on their website. The page is typically before the backpacking season reflecting any changes due to not only closures but reroutes or new info, too. Grizzly bears are the issues people seem most concerned about overall. I think the typical black bear strategy (a creature also common in the Canadian Rockies) works well. I never ate and slept in the same place, tried to use non-obvious campsites when possible, used an Ursack and Opsak combo when not in a place with a bear storage area, and when I did see three grizzlies in one day, I kept my distance. When a male griz noticed me and let me know he did not appreciate me being in his territory, I walked well way and waited until he was satisfied and left the trail. If you decide bear spray is warranted, purchase in Canada. Generally, you can’t fly with this equipment or cross the border. The MEC in Calgary has bear spray readily available. The outdoor store in the Waterton townsite also has bear spray available. Stream fords are the primary issue up north, not grizzlies, in my opinion. Glacier stream fords in particular esp. in the afternoons or earlier in the season. Look upstream and try to hike in smaller channels that have gravel obvious. Use hiking poles to “scout” the steps ahead. And when uncomfortable, turn around! Worse case? Call it a day and cross in the morning when the flow from the glacier melt is lessened, and the crossing is safer. In some cases, a makeshift bridge of sorts is available and put in place by previous hikers. Check the stability as you go along! Not everyone has up to two+ months to thru-hike the GDT. But section hiking the GDT is a rewarding experience! You can cherry pick the times (Fall foliage anyone? ), and still have a memorable experience. Check the GDTA Access page for more info on transportation options for section hiking. Most of the GDT is open to dogs, including the national parks! Dogs are allowed on most of the GDT, with the exception of the section of trail in Jasper National Park from Four Point campground (e15) to Signal Mountain trailhead (e32) which is protected Caribou habitat, and dogs are not allowed in campgrounds on the Berg Lake Trail in Mount Robson Provincial Park. In other areas of Canada’s National and Provincial Parks, dogs are allowed if they are accompanied by a person on a three metre (ten foot) leash. Pets are not allowed in public swimming areas, on public beaches or in public buildings. Outside of National and Provincial Parks, there are no restrictions on dogs but use good judgement. Dogs that are unfamiliar with wildlife may put their humans in jeopardy. Be aware that travelling in bear country with your canine companion may be exciting, to say the least. Fido might come running back to you with a bear, cougar or coyote in pursuit. There is no herd or bubble. And bumping into other GDT hikers, be it section or thru-hiking, is usually fleeting. If you hike the GDT, you will be out there by yourself or with your partner only often. In popular provincial parks and national parks, you’ll see other backpackers of course. They just won’t be GDT hikers. Any trail magic or trail angeling is of the old-school, spontaneous type: A lift into town, maybe a cold soda or extra food from other backpackers, kindness when needed, the trail maintenance done by dedicated volunteers, and the glorious views in the Canadian Rockies. There are no hiker feeds or coolers left unattended in the grizzly bear roaming woods, either. The Howse River alt route that avoids many blowdowns. And could potentially be the official GDT. You’ll hear many GDT hikers talk (vent! 🙂 ) about the David Thompson Heritage Trail, the Howse River area blowdowns, the 50k (30 mi) of road walking into Coleman, the Maligne Pass meadow area, etc. Well, great news! The GDTA is very active in getting these sections cleaned up, marked, maintained, and increasingly working with both Parks Canda and Provincial Parks to get some needed trail work done. David Thompson Heritage Trail clean-up Sept 2018. Photo by Doug Borthwhick. Coming plans for the GDT include being routed off roads, possibly go along the Howse River, taking in a ridgeline walks, and other evolving plans for this dynamic trail. And if you want to be part of these exciting new plans, again consider joining the GDTA or joining a volunteer project if possible. The Great Divide Trail Association is the first place to check out for info on the Great Divide Trail. The GDTA website is an excellent resource for all things GDT. The GDTA Facebook page is also an excellent place to find out about the GDT and see some of the work being done on this trail. ALDHA – East www.aldha.org Though primarily for Eastern hiking, many people in the organization have also hiked the GDT. ALDHA – West http://www.aldhawest.org/ This org focuses on Western hiking and has many GDT hikers. Of course, planning for the hike can be exciting. But sometimes it is inspiring to read other hikers stories, read journals, or be inspired by videos. John Z’s GDT YouTube series is highly regarded. Tara and Dan Durston hiked a GDT Yo-Yo and put together an excellent video series about it. Yowsers! Amanda Temoni “Not A Chance” has her usual colorful, memorable, and well-written journal available for reading. Erin Saver “Wired” wrote a very detailed journal with all kinds of useful info. And finally, Chris Willet wrote a detailed journal about his 2004 thru-hike aptly named “Tramping on the Spine of Canada.” An account that inspired many GDT hikers over the year. When Chris hiked the GDT, the trail experience was much different. But the love and passion for the journey never change. Best of luck on your Great Divide Trail journey! As said about a journey on another trail nearly fifty years ago, a journey on the GDT is Sometimes Easy, Sometimes Difficult, but Always Good. Enjoy the beauty, the challenges, the experience, and contentment on your trek of the Great Divide Trail! Awesome Paul! Thanks for sharing the word. Nice to see that photo of the 200km marker. We made that in 2017 – and then someone has nicely added the heart to it. My pleasure! Thanks for sharing your journey.